This Tuesday, the American Gas Association (AGA) released a comprehensive study on the natural gas commercial sector in the US. Using data from the Energy Information Administration, AGA studies, and economic modeling from Regional Economic Modeling Incorporated (REMI), the study focuses on how natural gas is used within businesses and commercial entities such as hospitals, schools, fire stations, restaurants, and malls. 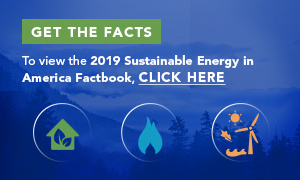 This study is timely given the critical role the commercial sector plays in the US economy and the major implications its energy use patterns have for the transformation underway in the US energy sector. 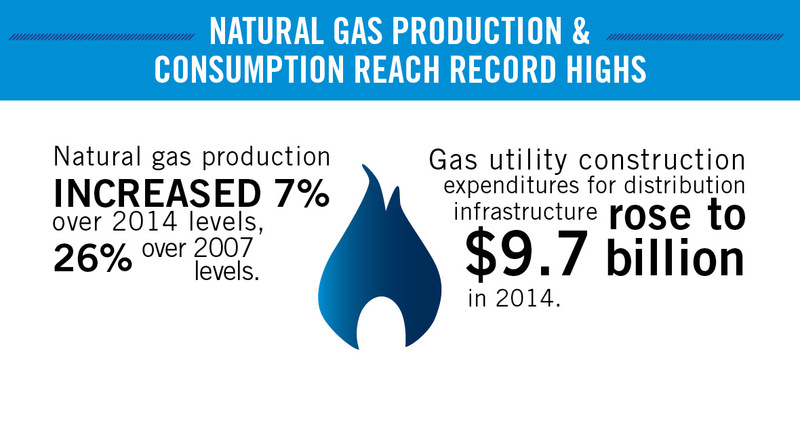 Natural gas is an economic driver - total natural gas utility revenue in 2013 was $101.1 billion, while commercial customers accounted for $21.4 billion of that. Additionally, prices for commercial natural gas customers are at their lowest in over 40 years, saving commercial customers $76 billion since 2009. Not only are commercial customers paying less for natural gas, efficiency measures have allowed them to do more with less. 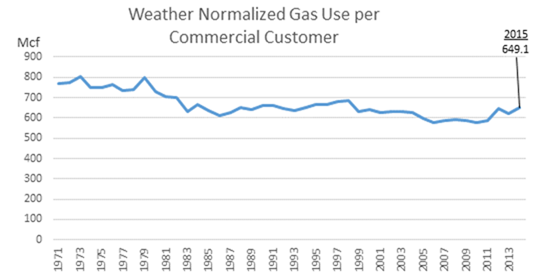 The amount of natural gas consumed by the average commercial customer decreased steadily from 1977 to 2015, with an average of -0.3% per year. All of this serves to boost the profitability of America’s businesses, especially small businesses. As part of the portfolio of available clean energy technologies, natural gas production continues to increase as a share of overall US energy production, reaching record highs in 2016. Gas utility construction expenditures for distribution infrastructure rose to $9.7 billion in 2014, and further infrastructure investments will be required to meet the needs of a 21st century energy system (Read more on BCSE infrastructure ideas here). In total, the US commercial sector accounts for nearly one-fifth of all energy use in the United States. Natural gas is an essential resource for this sector; it comprises 18% of total commercial energy consumption, and more than 5.4 million commercial customers use natural gas for space and water heating. The report goes into further detail on the characteristics of commercial buildings, the economic implications of commercial natural gas use, appliance and building codes and standards, and the future of commercial natural gas use and consumption.